On the first day, I met the Pride Team; Shevelle (Beauty/Fashion Editor), Gloria (Entertainment Editor), Afua (Features Editor), Isabel (Head of Production) and briefly met CJ (Publisher/Editor). My tasks have been very varied, and have ranged from vox popping members of the public, to writing copy for the beauty and fashion sections, attending press events, and conducting research. 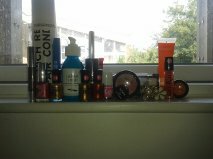 Although I was based in the beauty/fashion department, I was sometimes set tasks from Entertainment or Features. Overall, I've thoroughly enjoyed my time at Pride Magazine and would definitely recommend Pride to budding journalists looking for worthwhile placements. Pride is not one of those placements where you'll be left twiddling your thumbs, nor is it one of those places where you'll be making your Editor endless cups of tea, or be required to memorise your Editor's lunch order. However, it is one of those places where you'll be given the chance to develop your writing and communication skills and also get a proper insight into the work life of a journalist. The Pride Team is small- 5 members put the whole magazine together- so work experience interns are appreciated and if you consider yourself to be a slacker, then this probably isn't the placement for you! I'm very proud to call myself a (former) Pride intern, see what I did there? Pride Magazine has definitely been my best placement to date and you'll definitely be hearing more about Pride in the future as I've been invited back! I can't wait to go back, there's something very refreshing about working for a Black-owned company, where 80% of the staff are Black! Highlights: 1) Visiting celebrity hairstylist Dionne Smith (she's done Nollywood actresses Genevieve Nnaji & Yvonne Okoro's hair, Chanel Iman's as well as the casts of Sket & Anuvahood etc.) to get my hair done, in order to write a hair review for the 'Salon Spy' page of Pride. Please note the quantity shown in bracket, refers to the amount I have, as opposed to the store size. 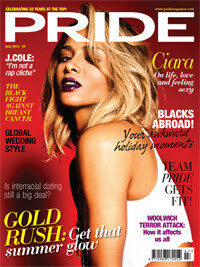 What was your favourite feature in this month's Pride? What post would you like to see next on LouLou Daniels (please see checklist below)?